With the Sagan Collection, Specialized developed two different personalities of Peter's racing style and transformed them into a collection of products, Overexposed and Underexposed. The Overexposed collection highlights the "star-of-the-show” side of Peter, with loud, yet elegant, silvers with touches of rainbows. Meanwhile, the Underexposed Collection represents thereserved, "below the radar” Peter with blacks, greys, and rainbows. The S-Works 7 Road Shoes are Peter's favorite, so we've made a design that's sure to remind you to continue chasing your own rainbows. • Integrated ANGi crash sensor. 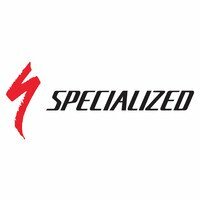 • Includes a one-year subscription to Specialized Ride Premium app. • New MIPS SL is the lightest, most ventilated MIPS protection to date and is exclusively available on Specialized helmets. • Through extensive Win Tunnel development, the Evade is the fastest road helmet they've tested—50 seconds faster over 40km when compared to a traditional road helmet. • Thin, soft, and lightweight 4X DryLite webbing won't stretch out with sweat or water.